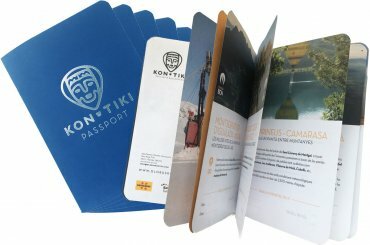 An exclusiveness of Globus Kon-Tiki as a present to all participants after ballooning, it's personalized with the carrier data and can be ordered making the purchase to receive it before flying and deliver it as a gift, also includes images and description of the areas of flight, indications to activate the flight, booking conditions and recommendations for the day of the flight. It must be carried on the day of the flight. During the purchase process you can also purchase the Original Kon-Tiki Buff with an additional cost of € 10 per buff. You will receive them together with the passports that you must take the day of flight. 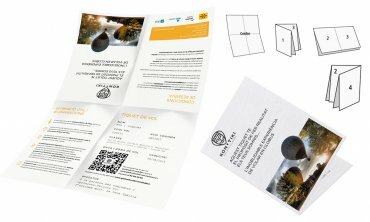 * The indicated cost of €5 for the shipment is the total, regardless of the pieces you request. Messenger shipments will not be delivered on holidays and weekends, purchases made after 14h will be sent the next day, it is not possible to arrange a delivery schedule, the courier will come on the first business day after buying from 9hAM to 2hPM and from 4:00H PM. to 8:00H p.m., in case they cannot find you at the indicated address will leave a note to contact them and agree a new delivery.